What Is The Definition Of A Target Man In Soccer? 1. 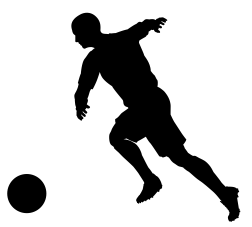 The target man is a striker in soccer who is the intended target of passes from his teammates. The ideal target man is usually tall in stature, who also plays physically. They will also have enough strength to hold up the ball, hold off defenders when competing for the ball and for bringing teammates into the play. It is ideal to have a tall and physical target man because then they’ll have an easier time playing with their back to the goal. 1. Due to his incredible height at 6 foot 8 inches, and combined with his strength and speed as a striker, Lacina Traore is a great example of how a target man should look and play.